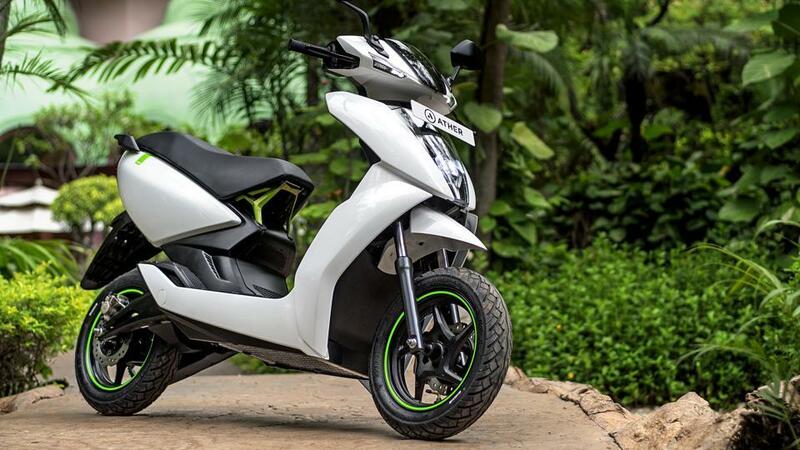 The Ather 450 is an innovative and cutting edge electric scooter from e-scooter startup Ather Energy from India. 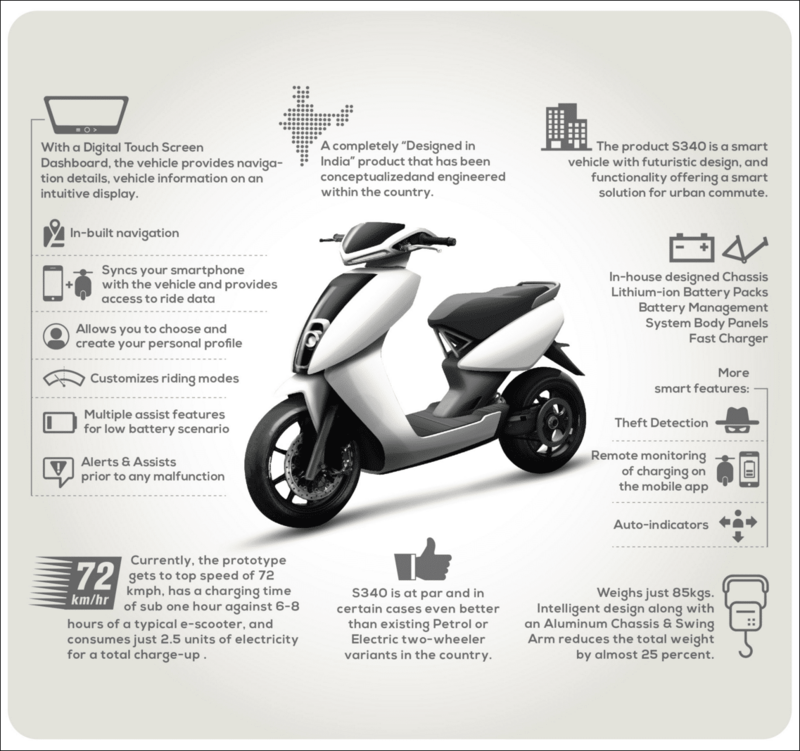 The startup has been funded by big Indian tech companies. 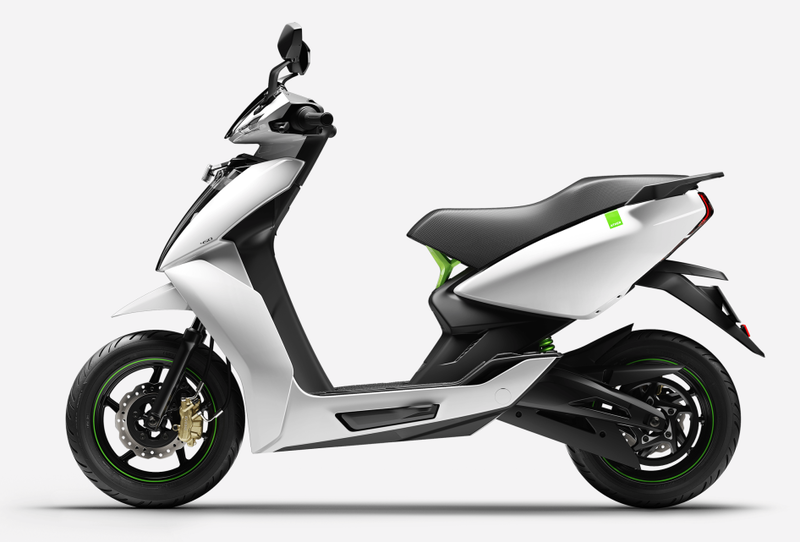 The Ather series scooter is available in two models, the 340 and the 450. 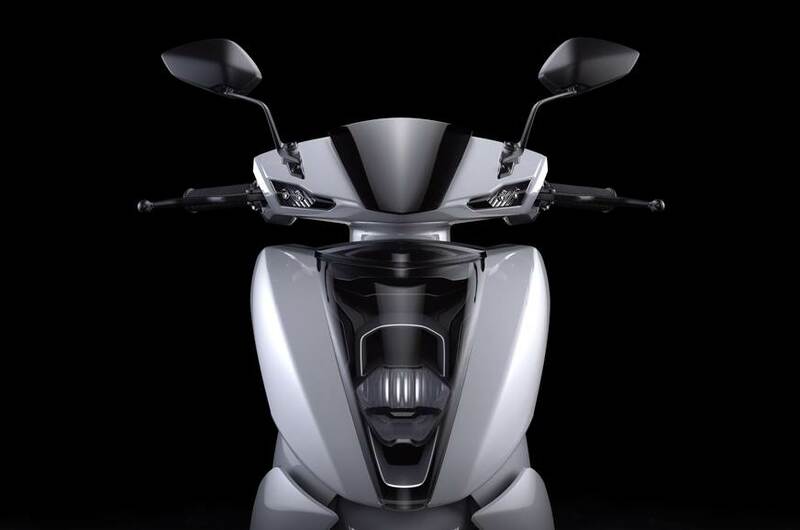 The Ather 450 is the higher performance model. 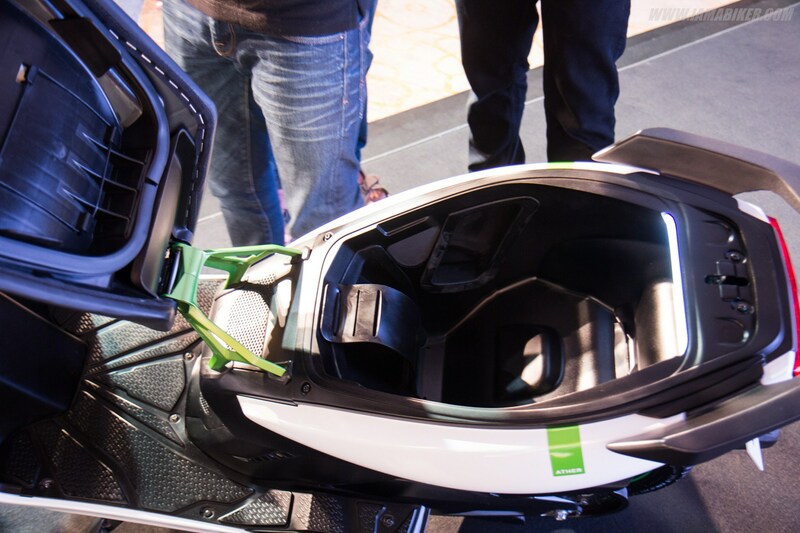 Both models look nearly identical from the outside. 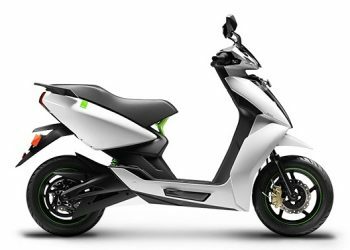 The Ather 450 has a powerful 5,400 watt electric motor that provides a top speed of 80km/h and an acceleration of 0-40km in 3.9 seconds. The scooter has a Lithium battery that provides a range of 75km. 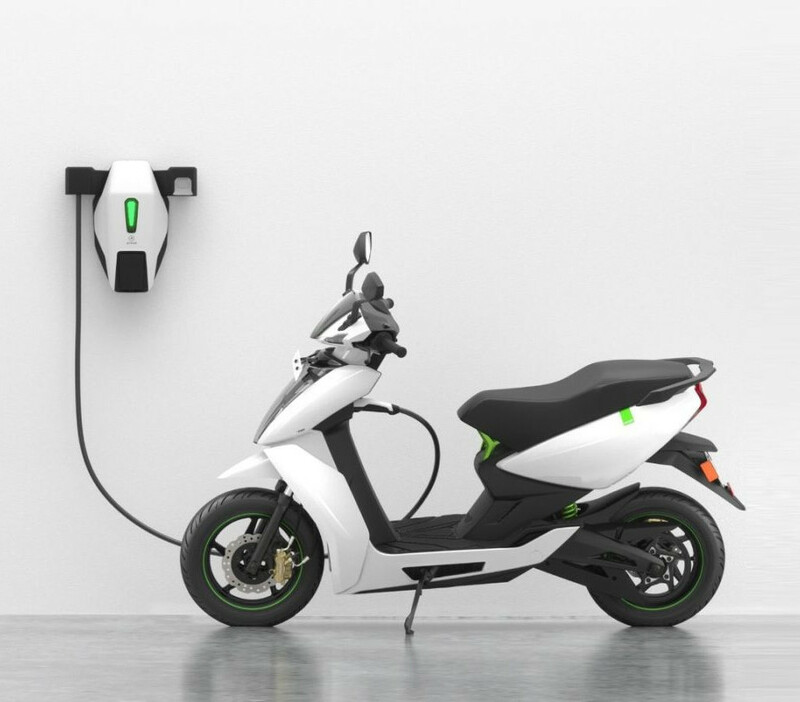 The charge time using the home charger is 4 hours and using a fast charger the batteries can be charged for 80% in 1 hour. 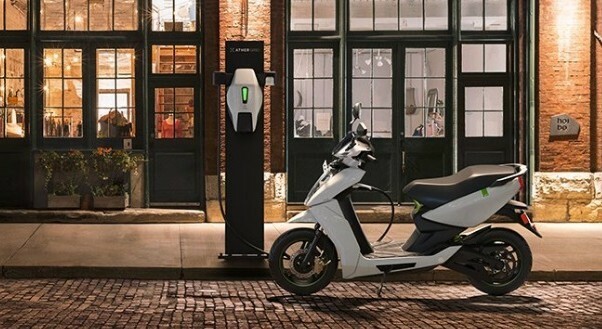 The battery is rated for 3-4 years or 50,000km. 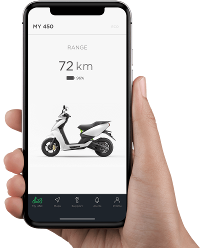 The Ather 450 is a true smart scooter that connects to a smart phone for access to scooter applications and information such as speed and battery state. 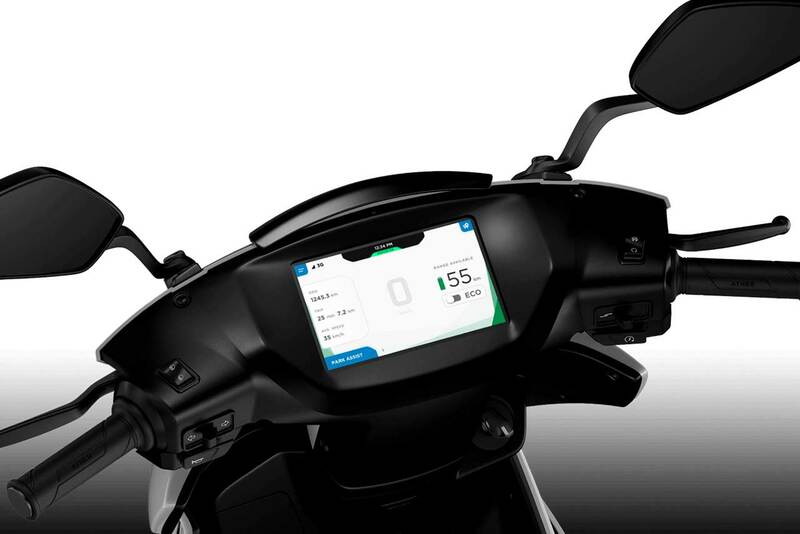 The scooter has a 7″ interactive touch screen dashboard, IP65 waterproof, with 3G, GPS, Bluetooth and Wifi connectivity, which provides access information such as speed and battery status and many scooter apps including navigation.